Jeffrey D. Slanker — Sniffen & Spellman, P.A. Jeffrey Slanker is an attorney at Sniffen and Spellman, PA and has extensive experience in all aspects of Labor and Employment and Wage and Hour Law representing employers and management. His labor and employment defense experience encompasses the defense of labor and employment matters, including employment discrimination, retaliation, whistleblower defense, wage and hour, Family Medical Leave Act, Employee Benefits, and disability discrimination matters, in federal and state courts at the trial and appellate level, as well before administrative forums including the Equal Employment Opportunity Commission, the Florida Commission on Human Relations, and the National Labor Relations Board. His labor law experience includes representation of employers in arbitrations of labor grievances and defending unfair labor practice charges. He also practices in the areas of Appellate law, State and Local Government Law, Constitutional Law, Civil Rights Defense, and Education Law. He is admitted to practice in all state and federal courts in Florida as well as the United States Court of Appeals for the Eleventh Circuit. In addition to litigating active matters in courts and before administrative or arbitration tribunals, Mr. Slanker regularly advises employers on compliance with labor and employment laws. He has extensive experience analyzing, revising, and drafting separation agreements, employment contracts, and employee handbooks. He also provides timely and responsive advice and guidance to employers on whether decisions, actions, or courses of action comply with federal and state labor and employment laws. 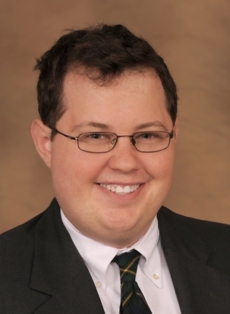 Mr. Slanker has been rated as a rising star by Florida Super Lawyers in labor and employment law. He is a graduate of the Emory University School of Law and received his bachelor’s degree from the University of Central Florida.